Thanks for a well written, nicely outlined list of ideas! Good book! In addition I want to say: Single Keywords most of the times bring many irrelevant Results from big Newspapers, Edu. and Wiki Pages, which are anyway high ranked for any phrase they use in their texts. So if you look for e.g. "Callgirls" in Google, you will gat 80% irrelevant results in the first 5 pages. Thanks for the add-up, Thomas! You're right here. hi dan, im a like luthfan in that i started making blogs and am applying the techniques that i will be learning in these articles so hopefully i can get ranked in the first page off google, thats a result i would be happy with. The key word graph was very helpful. We are forced into a geographic search (city + state) so we must start with two. I thought the 'Influence of keyword length on website's conversion ' graph was very helpful. I like this type of ' at a glance' summing up. Lesson learnt. Guys, and more guys (lol), focus on Dan's SEO tactics and you'll not go wrong. wow... thanks for the great information... this helps me a lot in my Search Engine Optimization, of my <a href="http://apexfreelancedesigner.com"> Philippines Freelance Designer</a> Website. Keywords helps a lot in optimizing our webpages. 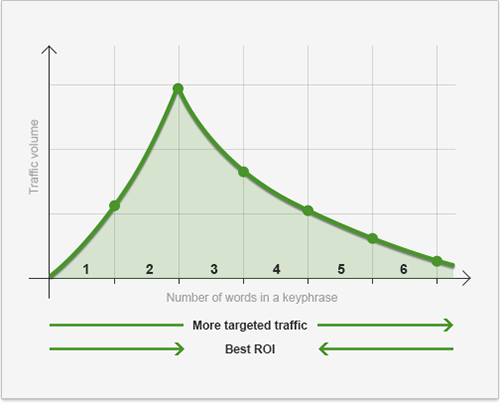 Using LONG Tail Keyword brings us more traffic.. Thank you, Sir. I salute your reply. That's a good one. I once felt so disgusted because a certain link exchange services rejected my website simply 'cos I was not indexed by Google. But even if your website is still "sandboxed" it's good to keep building links, and optimizing for Yahoo! 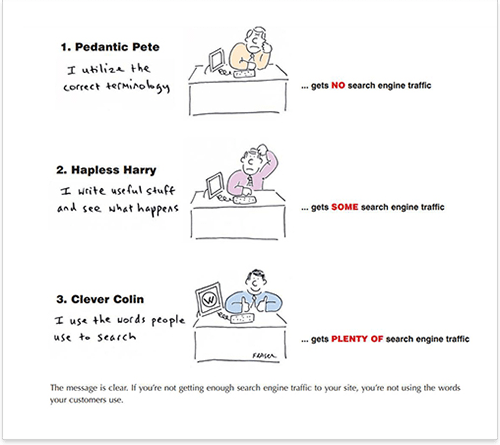 or Bing - it's better to have traffic from less important search engines than from nowhere at all.